If you ever find yourself in the beautiful city of Brighton, take the time to consider the numerous activities you could partake in. 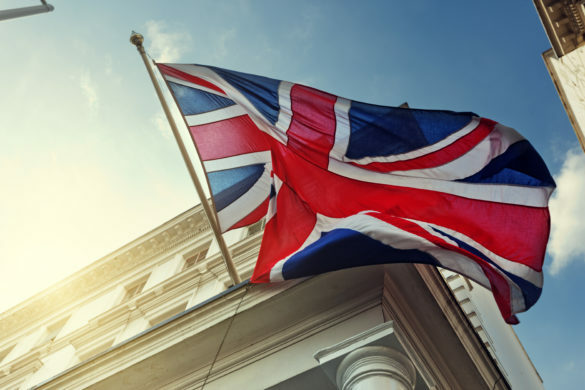 Whether you are a tourist, or just passing through and looking for some fun activities for you and your family, Brighton has a diverse range of places and events suitable for relaxing, sporting activities, shopping, fun and daring activities, educational experiences, and just plain entertainment. Here is a list of the best things Brighton has to offer. Lagoon Watersports is one of the UK’s best sources of watersporting fun. Located at the Hove & Brighton Marina, they are open from 12 – 7pm on weekdays, and 9am – 6pm on weekends. They offer a wide variety of activities, including powerboating, yachting, wakeboarding, SUPing, and sailing. Experience the exhilarating excitement of speeding through the water on a powerboat or a jet ski. Lagoon Watersports also provides powerboat and jet ski training courses. On the other hand, if you would like a calmer activity, feel free to take your family out on a yacht, and explore different destinations. If you are still seeking a thrill, feel free to try racing with other yachts around you. 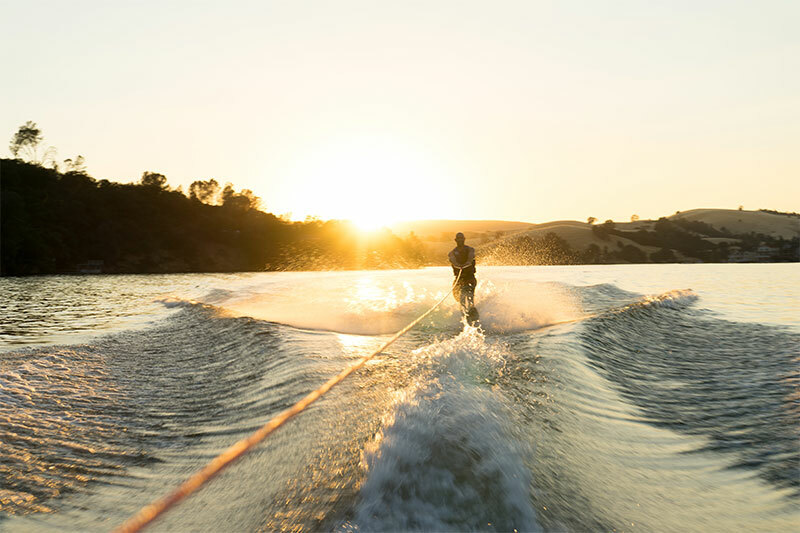 Wakeboarding is the perfect activity for those who enjoy tricks and flips on the water at dizzying speeds. Stand up paddleboarding (SUPing) is another activity guaranteed to provide buckets of fun for you and the family. As it is a relatively new sport, you might need some time to learn how it works, and Lagoon Watersports is perfectly equipped to help you do so. Finally, you can go sailing. If you do not know how to sail, Lagoon Watersports offers training courses for beginners. Even if you do have some skill in the activity, you can partake in courses that are geared towards more experienced users before hitting the water. Lagoon Watersports enforces safety first in all events, and provides other activities that cater specifically to children. You simply cannot visit Brighton’s beautiful pebbled seafront without stepping foot in at least one beach bar, of which there are many to choose from. If you are looking for a Caribbean vibe, then the Rik Tik is the place for you. In addition to the Caribbean cuisine and the sounds of reggae and ska all around you, there are also 80 different types of rum for you to choose from. If you are a history buff, visit the Fortune of War. Fortune of War is the oldest, and considered the most authentic, pub on the Brighton Seafront. Relax in the terrace out by the front, and enjoy your beer with modern music from popular DJs and live performances. Another authentic bar is Dr. Brighton’s, one of the oldest buildings on the seafront. It is considered very traditional, with pool games, large sofas, and cheap cocktails. Winter days or nights can be passed in the pub’s warm and inviting interior. Ohso Social is a family friendly location during the day, and a lively bar at night. Outdoor seating provides a perfect view of the city’s famous icon, Brighton pier. Brighton seafront is home to the UK’s largest open air cinema. The Luna Beach Cinema shows blockbuster movies, classic movies, and live sporting events, with cheaply priced tickets. 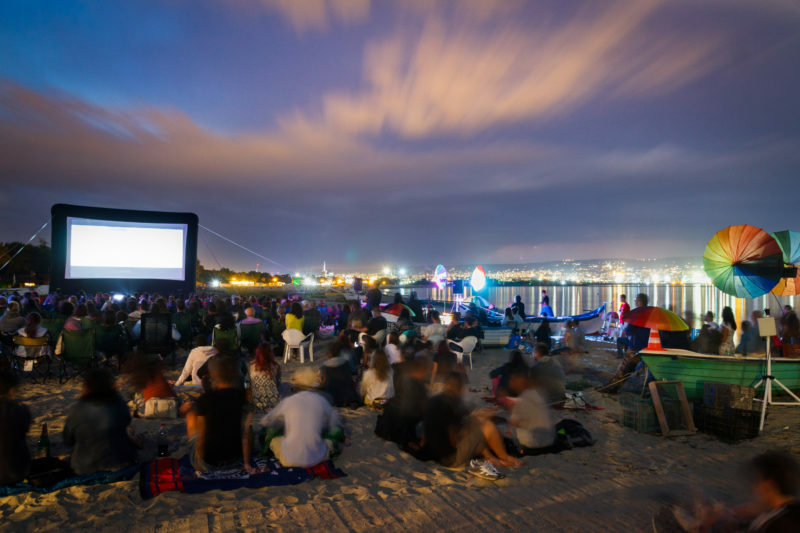 The beach cinema is an established summer activity for residents, and visitors come from far and wide to enjoy this big screen treat. A breath-taking 10m high definition LED screen right in front of the Palace Pier is definitely the best way to watch movies and sporting events. For film buffs, there are popular blockbuster movies, while others may prefer the cult classics. In sports, a number of live events including football, Formula One and Wimbledon, are regularly shown on the big screen. When you visit Brighton, make sure to grab a deck chair, sit back on the beach, and enjoy the cinematic wonders on this monster screen. The Duke of York’s Picture House, opened in 1910, is one of the oldest cinemas in Britain. It is an art house cinema, housing a single screen and 278 seats. It also houses a luxury balcony, and a café and bar, in addition to the traditional movie experience. The cinema caters to everyone, showing many different genres of films. As with the seafront cinema, the Duke of York’s Picture House offers screenings of both old and new movies, with a particular fondness for independent films and young filmmakers. The cinema partners annually with the University of Brighton, to host the Brighton Film Festival. If your tastes do not run towards the huge seafront screen, maybe you would prefer to enjoy your films at the cinema that was voted Best Cinema in the UK in 2012. The Barefoot Café is part of the Yellowave Beach Sports Centre. It has a beautiful view of the Brighton Pier, and offers a selection of healthy snacks and drinks. If you are in the mood for a sandwich, salad, or a smoothie, Barefoot Café is the place for you. It also offers a selection of wines, beers, and coffee. The café is family friendly, with a play area for children, and cheap on-street parking right outside the building. It also has a great view of the volleyball courts, so you may also be able to catch an interesting game while enjoying your meal. Located in the heart of the North Laine, Snoopers Paradise is a haven for antiques and vintage goods. 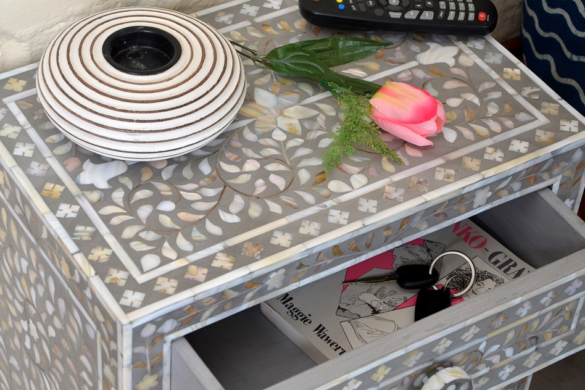 Different vendors offer a wide range of products, from clothing to accessories and homewares. For your vintage clothing style, you can shop with Future Folklore, The Emperor’s Old Clothes, Hearts and Guns, Rag & Bone, Luminessence, Rainy Day, Vintage, Blue Moon Vintage, and Mantra Men’s Shirts. Future Folklore, Trinkets and Treasures, and Palomita provide different types of jewellery, from vintage designs to snake vertebrae necklaces. If you are in the market for vintage hats, visit Fancier Feather and Cuckoo Cherry Tree. Other vendors provide extraordinary items, such as handcrafted books and collections of odd pieces of flora and fauna. You are sure to lose yourself in this maze of unique collections. In addition to Snoopers Paradise, you can try your luck at the Brighton Flea Market. 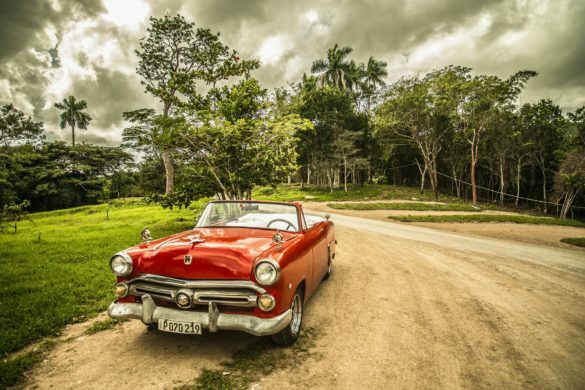 It is considered a fascinating place, where you can browse through many different shops, and buy interesting or strange items, vintage products, antiques, and even second-hand furniture. The market is open every day, including bank holidays. Many visitors have described the market as fun, quirky, and a great place to purchase unique items and collectibles. Even if you do not wish to make any purchases, feel free to window shop, it is sometimes just as fun. The market vendors are polite and welcoming, and are always excited to educate you about their special goods. The North Laine area and the Lanes stretch from Brighton Station down to the seafront. Both sets of streets are dotted with many shops that visitors can easily browse through on their way to their various destinations. You can dedicate yourself completely to the shopping experience, by visiting every single shop along each street, starting from the shop nearest to the train station, and ending at the shop closest to the beach. As with every other part of the city, residents and shop owners are incredibly welcoming, and will not hesitate to offer assistance if needed. 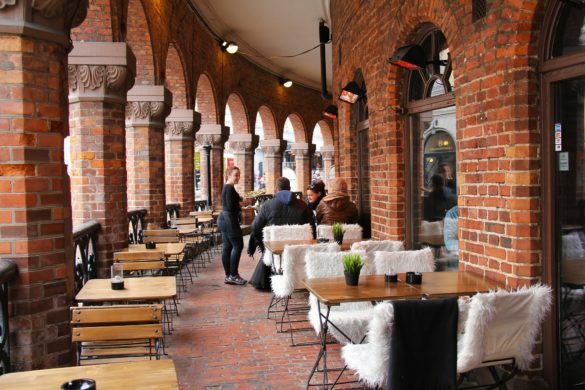 With these shops, Snoopers Paradise and the Brighton Flea Market, you are sure to have a well-rounded shopping experience. Preston Park Velodrome is the oldest cycling track in the UK, and you can take your bike for a spin absolutely free. Cycling clubs and youth groups frequent the velodrome for practice and meetings, and new members are always welcome. Of course, if you are a tourist you may not be able to join any clubs, but that should not stop you from taking a spin around the track. You only have to pay if you would like to hire the space for an event. There is also a cricket field in the middle of the velodrome, and cycling and cricket do not occur at the same time. Be sure to ask for information about the activities going on in the velodrome before heading there. If you feel like having a beach barbecue blowout, Brighton seafront is the perfect place for you. Council rules allow barbeque parties of no more than 20 individuals after 6pm on the beach. There are a number of rules to follow, for your own safety, as well as that of other beach goers. Regulations cover barbecue procedure, disposal, and safety rules. Loud music is not allowed, and barbecues should be done above the pebbles to prevent them from hurting other people. The use of environmentally-friendly charcoal is also strongly encouraged. Once you know your guidelines, feel free to cook up a barbecue feast on the beach with friends and family. There are a number of ice cream parlours in the city to satisfy your sweet tooth. Cloud 9 offers a variety of flavours, using all natural ingredients. The ice cream is made on site, and the parlour discourages the use of artificial ingredients for mass production. Ice cream is available in normal flavours such as peanut butter and chocolate, and more daring flavours such as garlic and blue cheese. If you would like to experience a bit of history, visit Marracco’s, an ice cream parlour built in 1969. Marracco’s has maintained its original charm, and its high quality experience throughout the years, with its only change being an increase in the number of flavours it offers. If you seek quantity as well as quality, look no further than Boho Gelato. They boast an incredible 325 flavours, including a vegan menu, and the list keeps growing. All their stock is produced on site daily. It is no wonder that they were voted one of the top ten ice cream parlours in the country by The Telegraph. 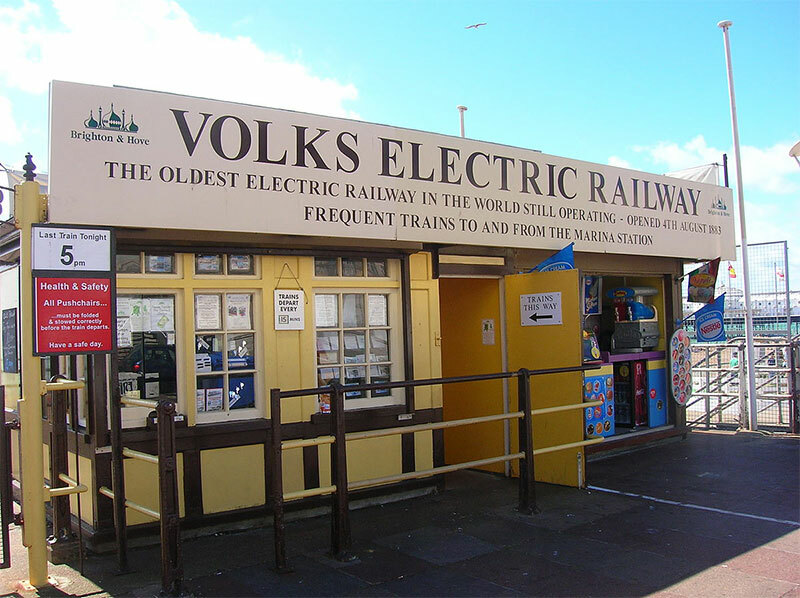 The Volk’s Electric Railway has been in operation since 1883, making it the world’s oldest operating electric railway. The route is 1.64 kilometres long, and runs between the Aquarium Station and Black Rock Station, with an intermediate station known as Halfway (formerly Paston Place). Services usually begin around Easter, and continue till the end of October. Trains run every fifteen minutes, though weather conditions may affect service times. The trains are handicap accessible, and wheelchairs can be folded to fit on the train, or can be left on the platform at Aquarium Station. Handicap toilets are situated close to every station. Brighton Marina is a beehive of activity for all ages. 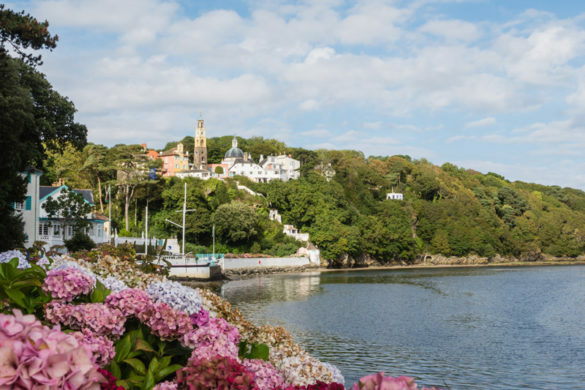 It has a residential area, consisting of apartments and townhouses, as well as a few hotels with excellent views of the waterfront. A large selection of shops is available, including fashion and accessories stores, gift shops, furniture stores, and more. Restaurants and cafes, offering numerous local and international dishes, are also present. Walking or biking along the marina is the favourite pastime of many, with some watching fishermen work and others watching the boats go by. 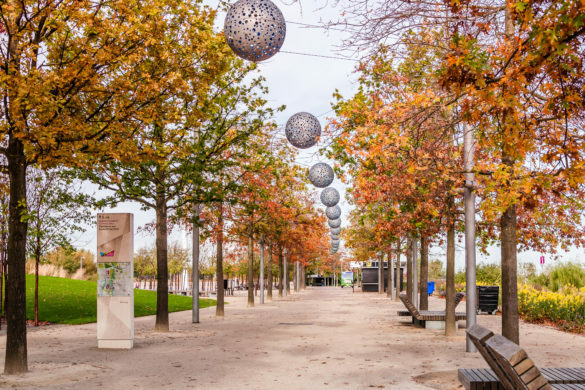 There’s no shortage of social and sporting events by the marina, and visitors are bound to find something that suits their fancy. There are operators that offer boat trips, with sail boats and jet skis available for rent. The marina operates a 24 hour bus service, and is fully equipped with provisions for handicapped or disabled people. Brighton Pier is extremely popular with tourists, attracting more than 4 million people a year. Known officially as the Brighton Palace Pier, it first opened in 1899. After renovations, the pier reached a length of 525 metres over the sea. It was turned into an amusement park in 1986. Brighton Pier has something for everyone, and features attractions such as the Dome arcade, Mega Slides, Fantasia, The Cup & Saucers, trampolines, Turbo Coaster and the Booster. The pier has maintained its traditional seaside atmosphere, and is perfect for a family getaway. Cafes and restaurants are located right on the pier, offering a varied selection of food, including the always popular English delicacy of fish and chips. Live performances are also a mainstay of the pier, which has hosted the likes of Charlie Chaplin and the Spice Girls. Brighton Pier is an iconic symbol of the city. It has been referenced in music, movies, TV series, and many other mediums of entertainment. The Brighton Toy and Model Museum is a Victorian building that was built directly under the Brighton railway station, and exhibits a collection of more than 10,000 items from the last century. It has two functional model railway layouts, and a model of a Spitfire train suspended from the ceiling. Ticket prices are affordable, and the museum is open from Tuesday to Saturday. On Mondays, only school trips are accommodated. The use of a camera (without flash) for pictures and videos is allowed in the museum, provided it is for non-commercial use. The museum also houses collections of toy trains and rare construction toys, alongside antique soft toys and puppets. Wheelchair access is available and parking spaces are located within easy reach of the museum. Mods were a 1960s British youth subculture, associated with a specific fashion style, and music genres such as rhythm and blues, ska, soul, and beat music. They are known for their formal outfits, and rode scooters as their preferred means of transport. A rivalry existed between the mods and another youth subculture called the rockers. You can experience the mod subculture by visiting the New Untouchables, an independent organisation promoting the British mod cultures of the 1960s through film, books, magazines, records, and fashion. Events such as Club Nights and scooter runs are the perfect opportunity to meet and connect with contemporary mods in person. 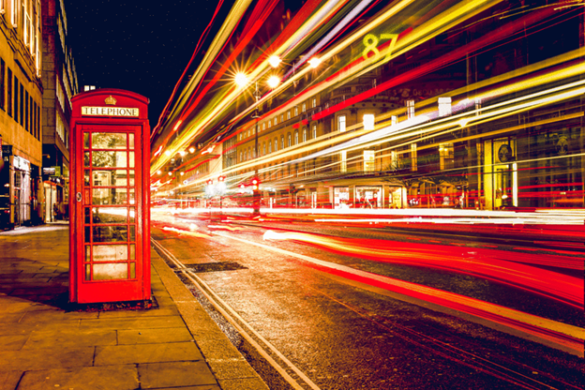 An international online network is also available for you to join, if you feel like keeping a piece of the subculture when you travel back home. There are many tour companies that provide walking tours in the Brighton area. 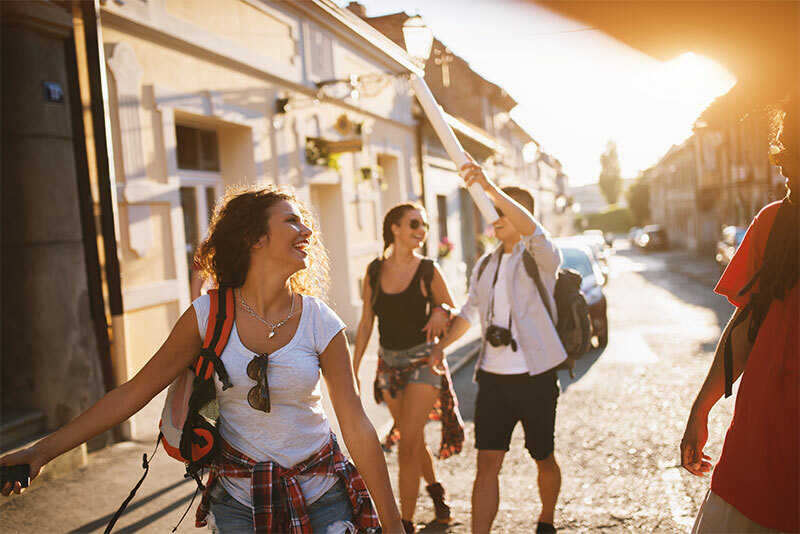 You can learn about the history, culture, and heritage of the city with Brighton City Walks, a tour company that provides 90 minute guided walks around Brighton’s old town. 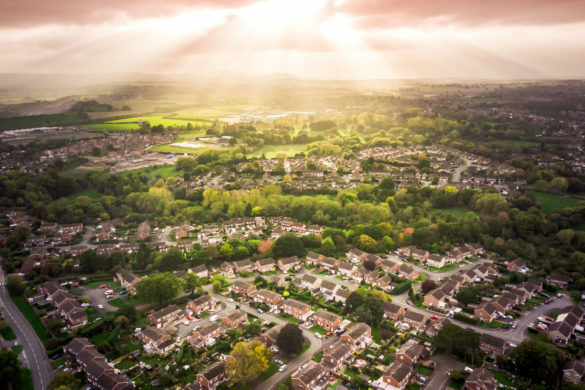 You could join a quirky and haunting walk with Ghost Walk of the Lanes, a 70 minute experience with a master storyteller and their ghost walkers. You and your family could also follow the trail of the Brighton Treasure Trail Hunt, or the Black Cat Treasure Hunt. Experience the flavours of Brighton while walking with Brighton Food Tours. With another company, Walking Brighton Greeters, passionate residents are recruited to give a helping hand to tourists in the city. Explore all Brighton has to offer on foot. However, walking tours are not the only types of tours available. 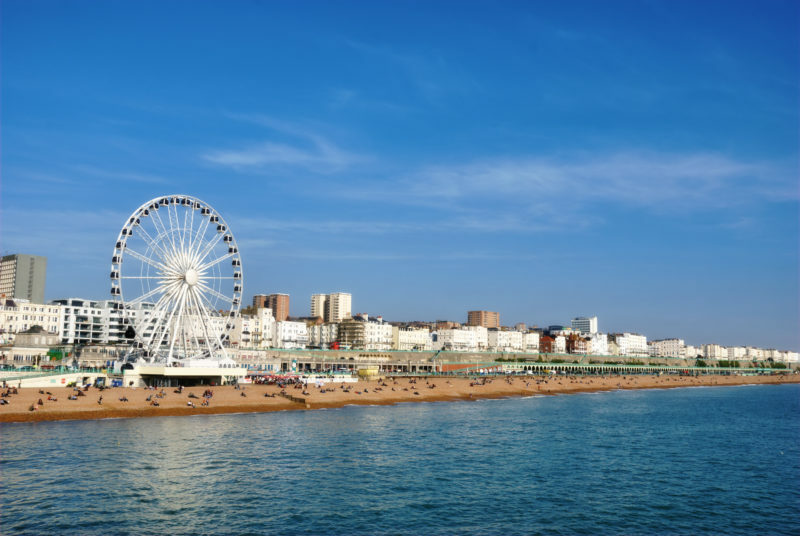 A number of tour companies offer guided bike tours, allowing you to learn about all things Brighton while cycling around the city. A full list of tours is available on the Blue Badge Brighton Walking Guides site. Time your trip to coincide with the summer, to give you an opportunity to see the Brighton Bandstand in all its glory. Built in 1889, this Victorian-style bandstand is one of the few still standing. Its ornate beauty and location make it the perfect destination for seaside events, and it is often booked for weddings. The bandstand sits right by the seafront, and operates in June, July, and August, though private functions can also be held there from April to September. Many different bands are hosted by the venue, and can be seen performing sets on Sunday afternoons. The bandstand can fit an audience of 80, with sitting room for fifty, and standing room for an additional thirty people. Attached to the Brighton bandstand is the Bandstand Café, which caters to events held at the venue, and is equipped to host events in case of bad weather. The capacity of the café is smaller at 50 seats. 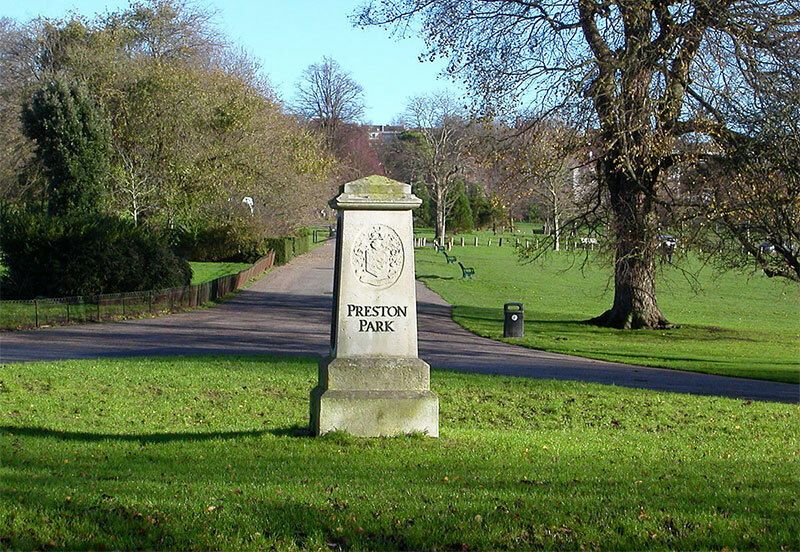 A 42-acre burial ground with notable Victorian monuments, it tells a lot about the history of Brighton. Take a walk along the trails, starting from the Extra-Mural cemetery. The grounds are full of wildlife, and are carefully maintained as a nature reserve. Woodlands and meadows on the grounds are teeming with different types of flora and fauna, for a picturesque view as you walk through the burial sites. 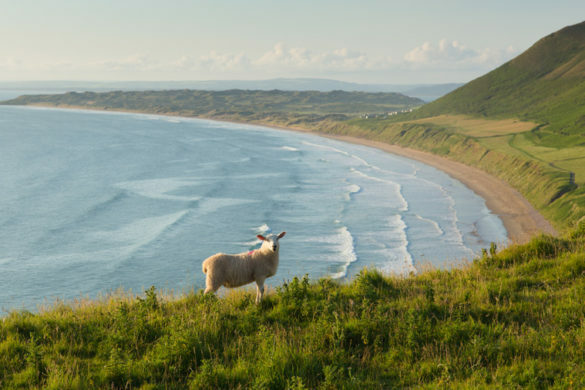 Most of the monuments are found by a marked trail, and a Walker’s Guide Leaflet is available to help guide your way, and provide more information about this stunning location. The grounds are open every day of the year, including bank holidays. The Royal Pavilion may look a little out of place in the Brighton landscape, but that does not make it any less striking. 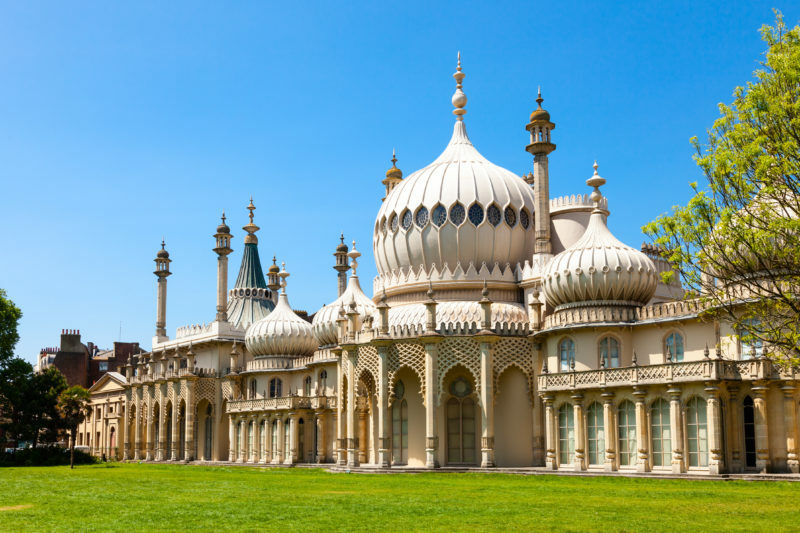 The Indian and Chinese-inspired palace is one of the most iconic sites in the country, and has become a symbol of Brighton itself. It was built as a seaside home for King George IV, and was sold to the town of Brighton in 1850 by Queen Victoria. The Queen had stripped the palace of all its furnishings to be used in other palaces, but the palace was restored by the town and reopened in 1851. The palace serves as a museum, and is open every day except Christmas Eve, Christmas Day, and Boxing Day. You can visit the palace by yourself, or as part of a group. Tour guides are available to guide you around the building, as you explore places such as the banqueting room, the saloon and reception rooms, the music room, the royal bedrooms, the garden and estate, and the great kitchen. You can also visit the Indian Military Hospital Gallery, which showcases a time during World War One when the palace was used as a hospital for wounded soldiers of the Indian Corps. Experience servants’ stories from the palace archives, and the items they left behind, and listen to the pavilion tales of old as narrated by museum staff. If you are in the mood for a burlesque show in an intimate setting with great food and drinks, look no further than Proud Cabaret. With a sitting capacity of 140, and standing capacity of 220, Proud Cabaret offers entertaining shows with a choice of a sit-down meal or buffet, and a wide variety of cocktails. Cabaret, jazz, and burlesque dances are performed regularly, and performers showcase a wide variety of theatrics in addition to dances, including circus-related acts, and pyrotechnic displays. The Proud Cabaret performers are well-known in the theatre circuit, with some having gone on to achieve international bigger fame and recognition. Special events are usually held during the weekends. Sea Life Brighton holds the title of being the oldest operating aquarium in the world. Built in 1982, the aquarium has over 3500 animal residents. Explore the sights and see sea turtles, starfish, sharks, and a host of other animals. Partake in feeding times throughout the day with the special feeding program. Learn about the creatures as you feed them, as the guide will give a short talk during every feed to make sure you leave with more knowledge than you came in with. Enjoy a boat ride through the 750,000 litre ocean tank, in a glass bottom boat, and admire tropical fish, sharks, turtles and rays as they swim beneath your feet. You can also book a behind the scenes special, where, after hours, you can see how the aquarium is run and how the animals are taken care of. Sea Life Brighton is also home to a number of rare species. You will also be educated on the aquarium’s research and conservation efforts. Waste no more time in planning a trip to the wonderful seaside city of Brighton. 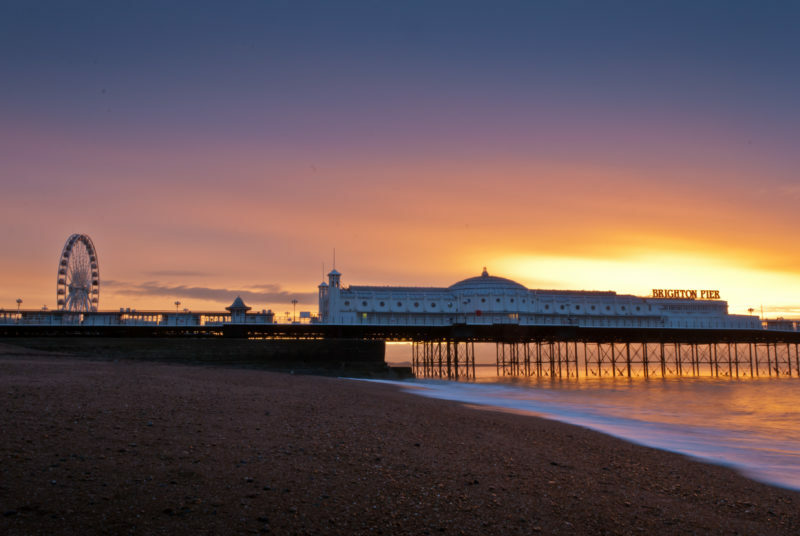 Before you do, visit this site to make sure you have all the information you need about Brighton, including council regulations, travel information, and tour guides. 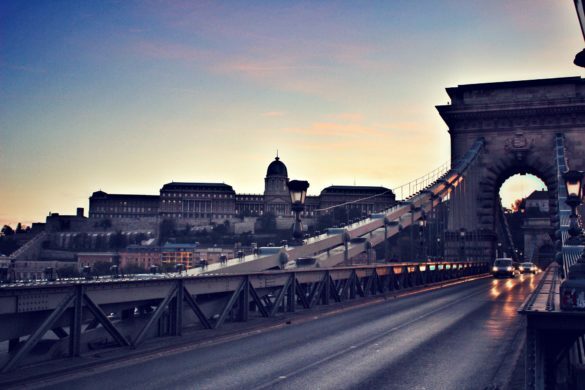 The sights and attractions of the city are waiting to be explored. Come and interact with the people of Brighton, and experience the great hospitality of the city’s residents. Try out various activities, and make sure to document your unforgettable experiences.